If you’ve been reading any of the information here at Microstock Man, you’ll know how highly I recommend Shutterstock as an agency. In fact, if you are even slightly serious about making some money from microstock then you simply must be selling your work on Shutterstock. It’s that simple. 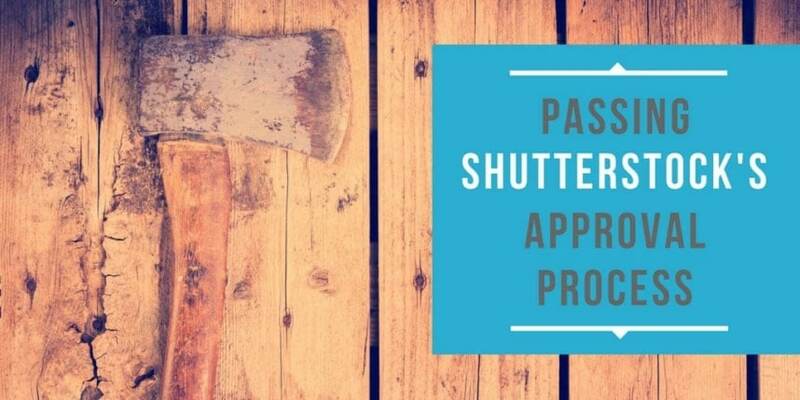 However after the initial step of signing up with Shutterstock and securing your username, there is one significant hurdle to pass before you can start selling your images. Shutterstock require you to submit 10 images (either photos or vector, it doesn’t matter) to pass an initial examination process. This is in place to make sure that contributors meet Shutterstock’s high standards before they begin uploading hundreds of photos or vectors. Once you have passed, you are a fully fledged Shutterstock contributor and from then on you just have the same image review process that every other contributor has. Obviously none of us want to wait 30 days again and again, fail after fail. I know, I failed the first time I applied to Shutterstock! But after getting accepted second time around I now have a portfolio numbering in the thousands. So, what made the difference on my second application? What are some tips to getting approved to sell on Shutterstock? Rejection is part of the experience in microstock. However it’s nice to know that you can minimise it to a large degree. Don’t be too precious about your work. Generally speaking, if a Shutterstock reviewer rejects one of your images then the rejection reason given will be relevant and worth looking into. For instance, when I first began in microstock I got many images rejected for “too much noise.” At first I thought this was crazy, as my images have been used in various magazines and newspapers without any objection for years. However, after re-examining my images at 100% and comparing them with others for sale as microstock I soon realised this was a real problem. After making the needed corrections my acceptance ratio went through the roof. Lesson learned. So consider carefully what you will submit as your initial 10 images for the Shutterstock approval process. Employ the tips above and rest assured you will think the effort was worthwhile once you have been accepted! Ready to check out Shutterstock? Thank you for these tips, I kept them in mind as I was picking out photos for my first portfolio submission, and…I got in on my first try. I’m still a little stunned by that! And thank you for all the great reviews of stock websites, it helped me direct my efforts and figure out where I wanted to be. Hey RebekB, thanks for the kind words. Well done on getting accepted on your first go to Shutterstock – that is a real achievement! That initial submission test can be a tricky one. All the best with getting started at the other stock agencies as well. Hope you continue enjoying the site.